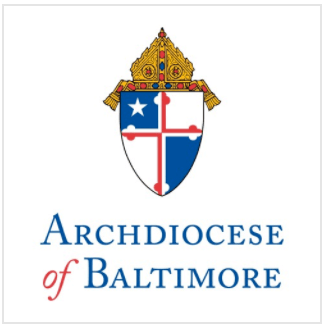 Archbishop Edwin F. O’Brien, Archbishop of Baltimore, will be joined by other faith leaders and their members from Baltimore area churches, mosques and synagogues at a Vigil against Violence on Monday, January 25 at 7 p.m. at the Cathedral of Mary Our Queen, 5200 N. Charles Street. The Vigil is sponsored by the Baltimore Interfaith Coalition, an organization created after a meeting last spring between faith leaders and Baltimore Police Commissioner Frederick H. Bealefeld, III. The Coalition is a response to the recognition of the Commissioner and other community leaders that the police alone cannot solve the problem of violence. The event will also include prayers for Haiti and a collection to support the relief effort there. “Haiti is in the midst of what we call a natural disaster, but here in Baltimore, violence perpetuates what we could call an unnatural disaster,” said Bishop Denis J. Madden, Auxiliary Bishop of Baltimore and Co-Chair of the Baltimore Interfaith Coalition. “Violence in Baltimore keeps our city from reaching its potential and limits our ability to focus on the poverty of places like Haiti,” he said. The Baltimore Interfaith Coalition has planned the event to spearhead their Movement Against Violence—an ongoing effort to mobilize faith communities through joint service projects that promote healing and hope to those who are affected by violence. “This is the first time since the Civil Rights Movement that Baltimore has seen an interfaith movement of this scale,” Bishop Miles said.